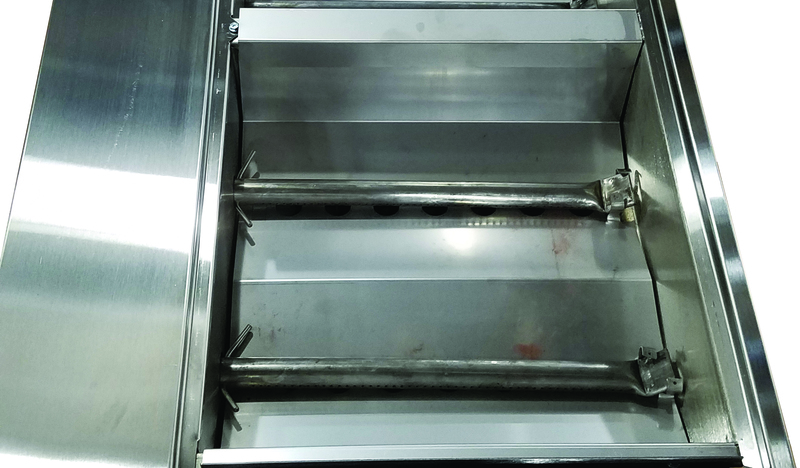 This tow behind grill features two of our A4P liquid propane (LP) commercial grills, for a total of 16 burners and 320,000 BTUs with warming racks. It is still the work horse with twice the cooking area of the Trail Boss I. Designed for the road, this grill has everything a chef needs all in one place. Even easier to transport with no set-up or tear down required, simply hook up the 2” ball hitch and go. Simply turn on the gas and light the grill with a match or lighter. Fast heat up allows you to set up and start cooking in minutes. • Total grill weight as pictured is 1410 lbs. • Shipment Dimensions: 144”L x 60”W x 46”H = 230 cubic feet, shipping weight is 1410 lbs. • Ships via UPS Freight only. Must have a Loading dock or forklift to receive. All others will be scheduled for pick-up at UPS Freight Terminal. Converts 1 section of your gas grill into a 15" x 16" griddle. Manufactured from steel to provide excellent heat retention, strength, and durability. Compatible with All Country Club, P-Series, Stainless Steel Elite, and Trail Boss Gas Grills. Converts 2 sections of your gas grill into a 15" x 30" griddle. 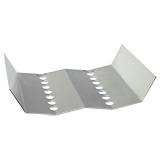 Manufactured from steel to provide excellent heat retention, strength, and durability. Our double-walled firebox, grill body, hood, and select components are manufactured using high quality 304 stainless steel. Corrosion resistant 304 stainless steel is a superior material because it can be placed in harsh conditions (such as 800°+) and maintain its strength for long periods of time before needing to be replaced. 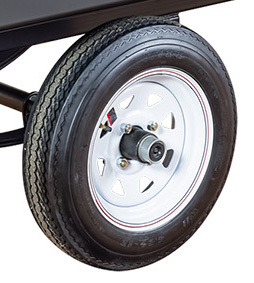 Our 12 gauge steel, powder coated chassis has heavy-duty leaf springs, running gear, and 12” tires for a smooth and comfortable ride – even over rough roads. 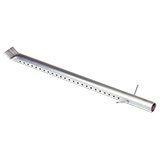 We offer two kinds of professional cooking grates, Cast Iron & Stainless Steel. Regardless of which you choose, we only use the best materials available. Professional chefs love our cast iron grates because they can obtain the coveted, high-end, steakhouse quality sear marks everyone loves! 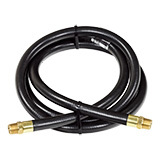 All of our grills are low pressure, but we choose to use a high-pressure hose with low-pressure fittings because they are much safer and can carry up to 125 PSI vs 1/2 PSI capacity. 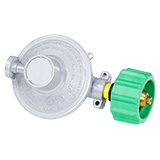 Our low-pressure regulator and QCC are rated for up to 200,000 BTU’s, plenty of power for our commercial equipment. Why settle for only what is necessary when we make them stronger? Our lava rock is sourced straight from the mines in Colorado. Its ability to absorb heat and emit an infrared signature evenly across the entire cooking section makes it superior to any radiant commercial gas grill. This infrared signature and extreme heat produce the authentic barbecue flavor. 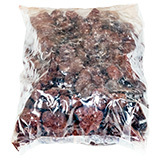 Lava rock allows the meat drippings to burn off immediately, delicately adding flavor to the grilling meat. The intense heat of our grill sears the outside of the meat locking juices inside. Our cast iron cooking grates are 11 lbs. each and are not plated, coated, or enameled. Our cast iron grates are ideal for any chef wishing to obtain the coveted sear marks seen at world-class steakhouses. Exceptional Searing Capability Strong, but Possible to Break. 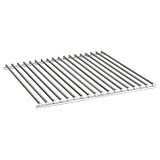 Our stainless steel cooking grates are 11 lbs. each and are made of high quality 304 stainless steel 3/8” rod. These heavy-duty grates are made to withstand the demands of commercial cooking. Strong, Difficult to Break Does Not Sear Well. Separate 40,000 BTU firebox sections give Big John products the advantage. Each section can be set to a different temperature to accommodate preparing a wide variety of foods on the same grill at the same time. This feature also gives the grill a quick cook down time making it ideal for off-premises cooking. You will not be disappointed with the heat output of a Big John gas grill. Each section contains 2 burners with an output of 20,000 BTU’s each (40,000 BTU’s per section). Each burner is independently controlled giving the user the ability to set each section to a different temperature. Grilling rare, medium, and well will finish at the same time for streamlined service. We choose to offer only 30# & 40# Worthington Cylinders with our products because they are engineered to be lightweight and durable. 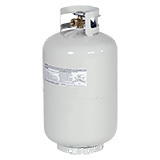 Each cylinder has a white, rust-inhibiting powder coat paint finish and is equipped with an Overfill Prevention Device. The comfortable hand-hold built into the collar makes for easy transportation of these of these cylinders that are manufactured to fit Department of Transportation and Transport Canada specifications. Our double-walled firebox, grill body, and select components are manufactured using high quality 304 stainless steel. Corrosion resistant 304 stainless steel is a superior material because it can be placed in harsh conditions (such as 800°+) and maintain its strength for long periods of time before needing to be replaced.